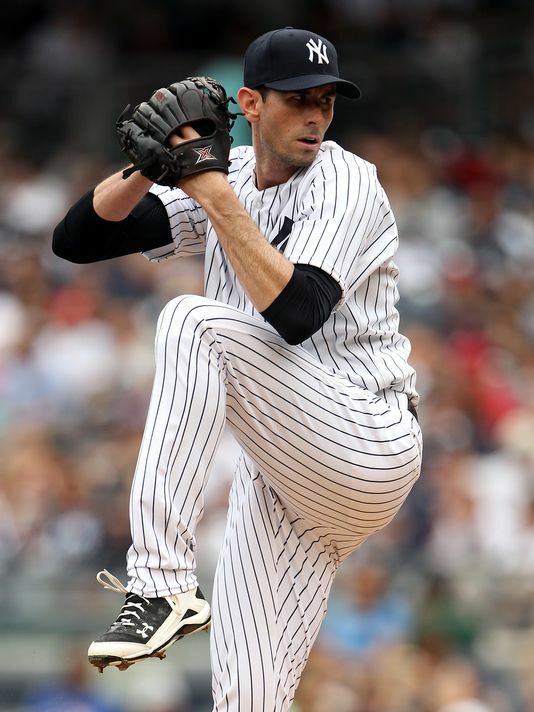 Behind the lights-out pitching of Brandon McCarthy, the Yankees were able to salvage the final game of their three-game series against Houston this afternoon, beating the Astros 3-0; the Bronx Bombers picking up their first win since Sunday. McCarthy danced to a complete game tune, putting on a four-hit shutout performance with eight strikeouts and no walks – an outing that looked more like a Roger Clemens start, circa 2001. The Yankee offense, which has basically struggled since the end of 2012, scored all of its runs in the second inning this afternoon. 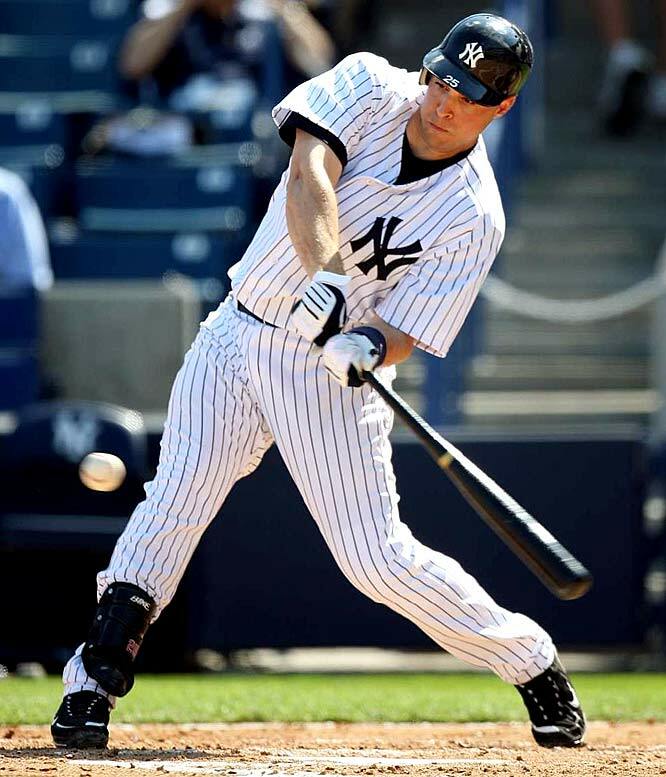 Chase Headley swatted a double into the right field corner to bring in Mark Teixeira and Martin Prado, and later came in on a sac fly out to center off the bat of Ichiro. Other than that, it was McCarthy’s day to shine. The much-needed victory brought the Yankees to 64-61 this season; now trailing Baltimore for first place by nine games in the American League East. The Yanks are also four and a half games out for the second Wild Card spot – but that comes with the task of hurdling Cleveland, Seattle and Detroit for a postseason seed. Numerically, the Yankees still have a chance at capturing the AL East, with eight games left to play against the Orioles in the month of September. Realistically however, given the immense lack of hitting and team inconsistency on both sides of the field, it’s fair to just hope for a fight into a sudden death Wild Card game down the stretch. This weekend the Yanks welcome the Chicago White Sox into town, and before Saturday afternoon’s showdown with the pale hose, will honor Joe Torre with a ceremony. The newly crowned Hall of Famer will have his no. 6 rightfully retired by the organization. Whether or not the Yankees take the game from the White Sox that will follow the ceremony remains to be seen, as they’ve had bad luck winning games on days they pay homage to Monument Park newcomers. Recent history hasn’t been on their side. 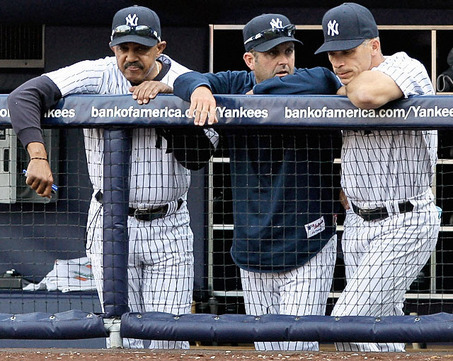 In summation, it’s been a very lackluster summer in the Bronx. 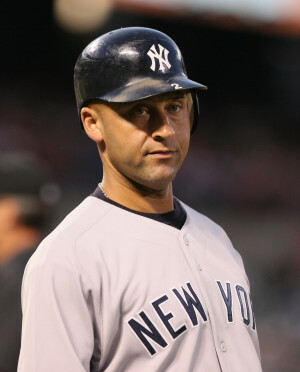 The season just has not given off the World Series vibes of 2009 and the ‘90s Dynasty years, which is tragic not only because of the amount of money “the brass” spent in the offseason on players; buying some sought-after free agents in hopes of turning the team around – but you would hope in Derek Jeter’s final year, the captain could go out a winner. Right now, it doesn’t even seem as though Jeter will play autumn baseball in New York again, let alone collect his sixth World Series ring. 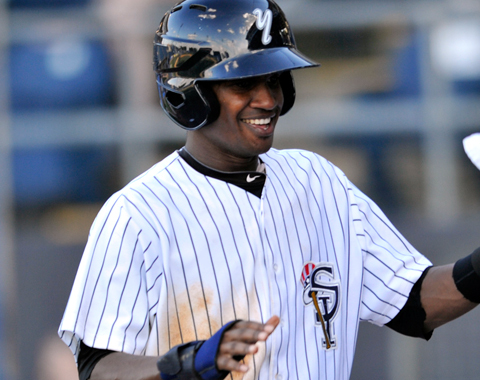 While the Yankees are upsetting fans and not living up to the hype generated in the preseason, a minor league team from just up the Hudson River has been doing what the Yankees haven’t been this year: playing well and consistent. 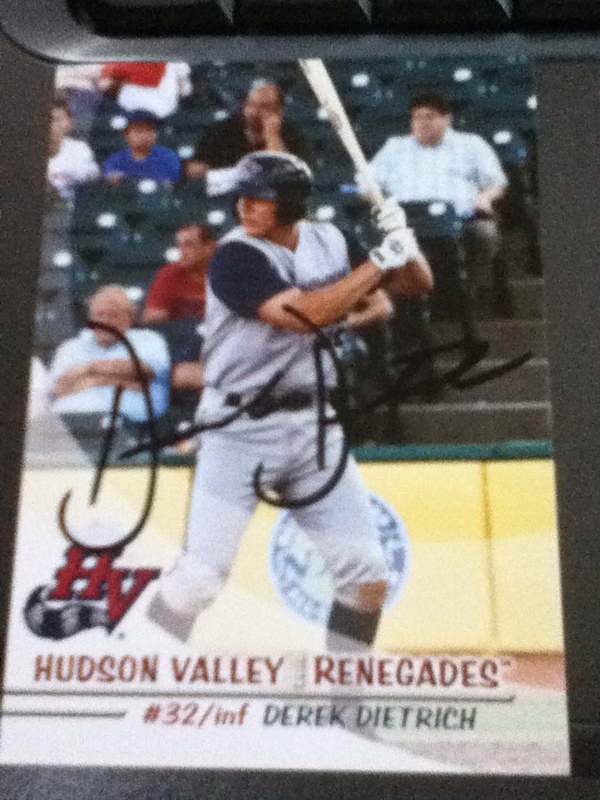 The Hudson Valley Renegades, the New York-Penn League MiLB squad affiliated with the Tampa Bay Rays, have been as clutch and as fun to watch as the ’09 Yankees this year. The ‘Gades are one of the top teams in the NYPL, and are on track for the playoffs as the season enters its final week and a half. I’m now in my third season covering Hudson Valley and it wasn’t long ago – 2012, in fact – that the Renegades won only their second championship in team history, and first since 1999. They certainly have a chance to go for their third, and second in three years. This week was the NYPL All-Star Game in Brooklyn, held at MCU Park where the Cyclones play; the Cyclones, of course the New York Mets farm team. The Renegades sent a record seven players to the ASG. I wrote a little feature about it that ran in the newspaper I work for, The Examiner, this week. Since the Renegades are playing great baseball – virtually the polar opposite of the Yankees – I figured I’d share my feature on the Hudson Valley all-stars. The New York-Penn League All-Star Game may be taking place tonight at MCU Park in Brooklyn, but a strong Hudson Valley presence will be felt. 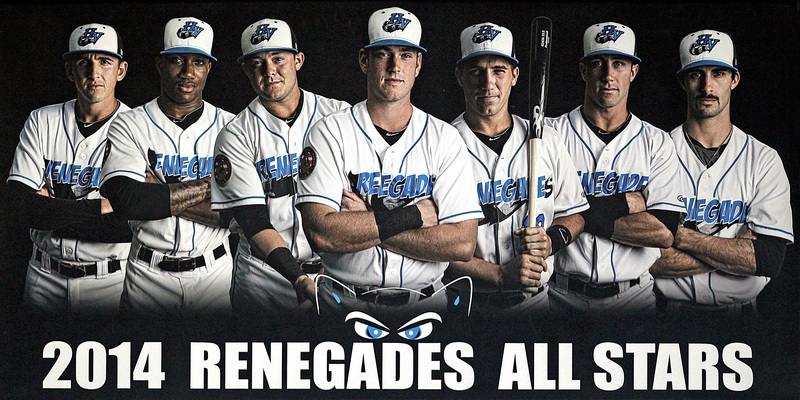 The Renegades will be represented in the All-Star Game by seven players, a record number for the minor league franchise. Two Renegade outfielders in Bralin Jackson and Hunter Lockwood were selected. Jackson, the Tampa Bay Rays’ fifth pick in the 2012 Major League Baseball draft, has tallied 56 hits in 54 games and has demonstrated a keen eye at the plate, drawing 24 walks. 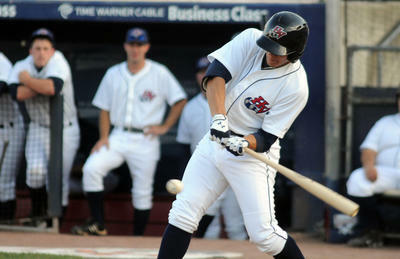 He also hit .324 in the month of July and leads the Renegades with 18 multi-hit games. Lockwood has been as clutch as they come, leading the league with 13 home runs and 43 RBIs. Three of his 13 round-trippers have been of the walk-off variety, and he’s very excited to be playing in his first All-Star Game. Along with a pair of outfielders, three Renegade infielders will be playing tonight. Utility man Coty Blanchard, second baseman Jace Conrad and first baseman Casey Gillaspie each received the nod. Blanchard currently sports a .287 batting average, has driven in 24 runs and he leads the league with 20 stolen bases. Meanwhile Conrad has 17 steals, boasts a .277 average, and has knocked in 18 runs. Gillaspie, the Rays’ first pick in this year’s draft, has been worth the price of admission with his seven home runs this summer, coupled with 38 RBIs and a .273 clip at the plate. 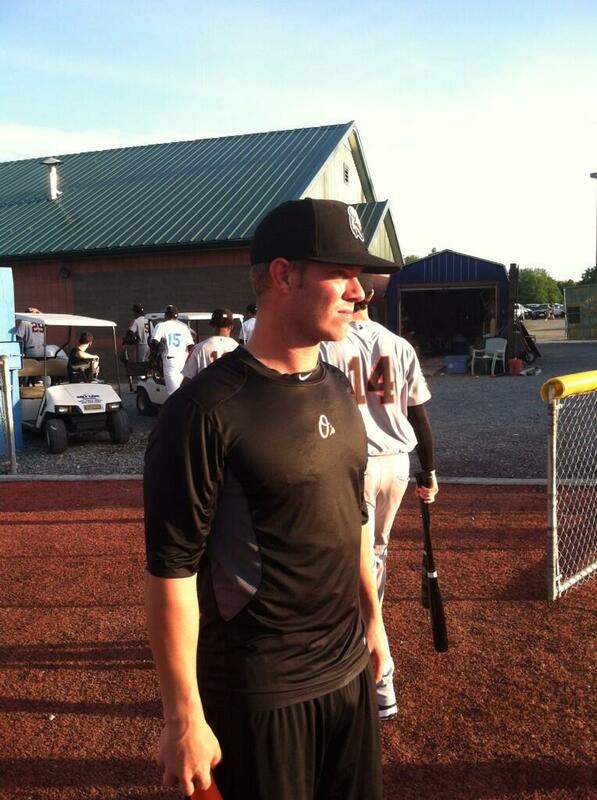 The younger brother of Chicago White Sox third baseman Conor Gillaspie is looking forward to the experience. Rounding out the Renegades in the All-Star Game are pitchers Nolan Gannon and Hunter Wood. Gannon is currently 5-2 in nine starts with an ERA of 2.68. 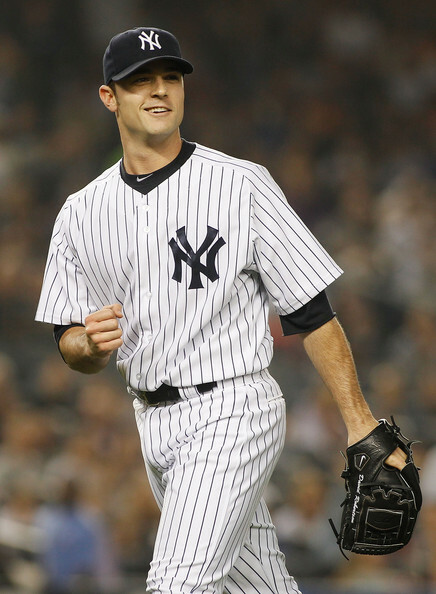 The tall right-hander has struck out 43 batters in 47 innings while only allowing five walks. 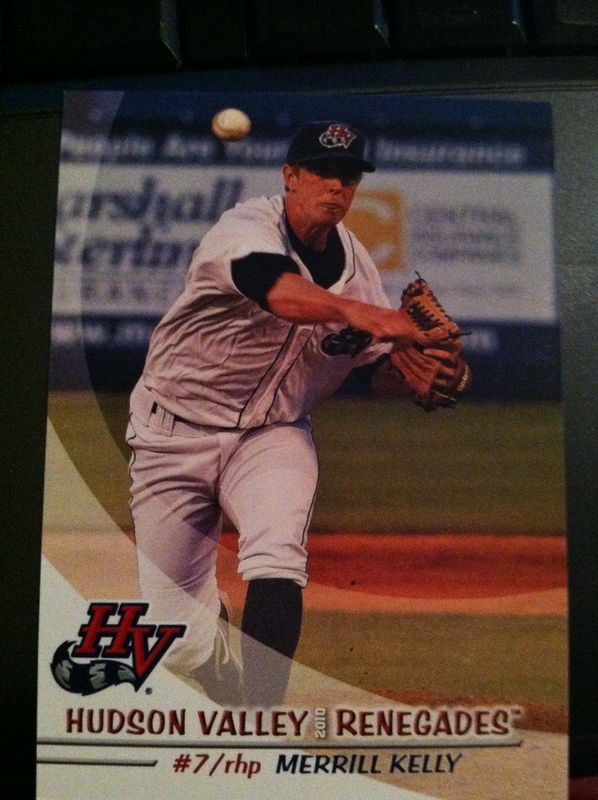 Wood, another lanky righty, has been equally as dominant, with a 3-3 record in 11 starts for the Gades, and a 2.91 ERA. You can check out my latest gamer on the Renegades’ 6-1 win over the Lowell Spinners last Saturday here. Lowell is the NYPL’s Boston Red Sox affiliate. 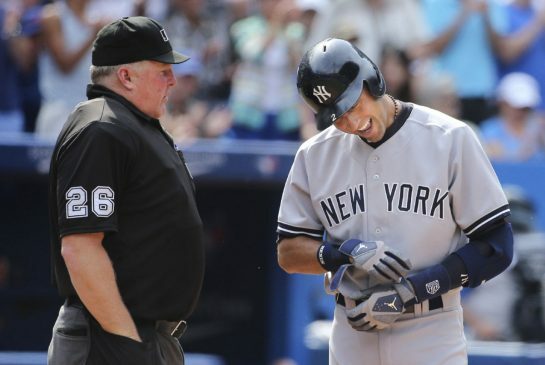 It wasn’t exactly a Father’s Day to remember for the Yankees, as they lost 10-5 this afternoon to the A’s. The Bronx Broskis have to do some regrouping this week and thankfully for them, “the savior” (as I’ve dubbed him) Masahiro Tanaka starts their next game on Tuesday night at the big ballpark in the Bronx. It’ll be an important series, with Toronto sitting ahead of them by four and a half games in the AL East. While was Father’s Day today, it was also my 27th birthday. I spent it at the ballpark – but the minor league ballpark. Specifically, Dutchess Stadium, home of the Hudson Valley Renegades. I’ve covered the Renegades the past two summers, and today I covered my first game of my third summer with them. And I got quite a little birthday surprise. 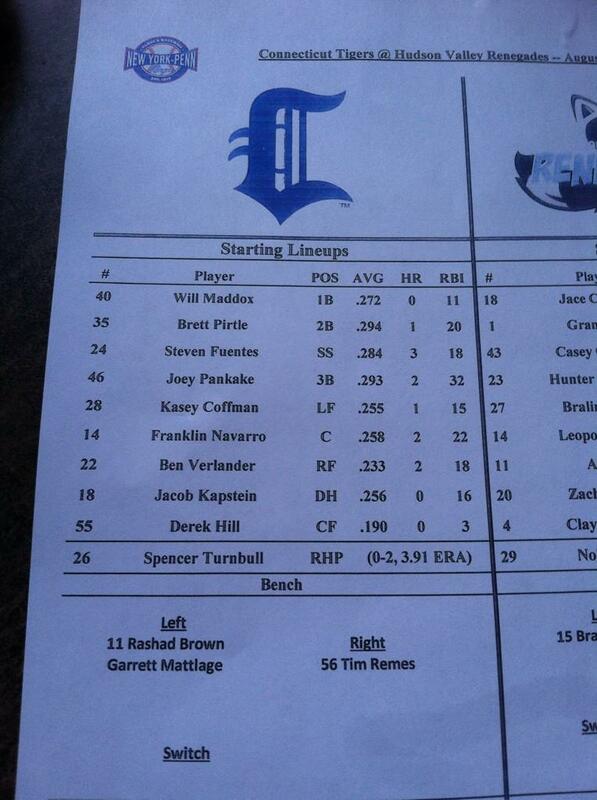 The ‘Gades hosted the Aberdeen IronBirds, a MiLB squad affiliated with the Baltimore Orioles. 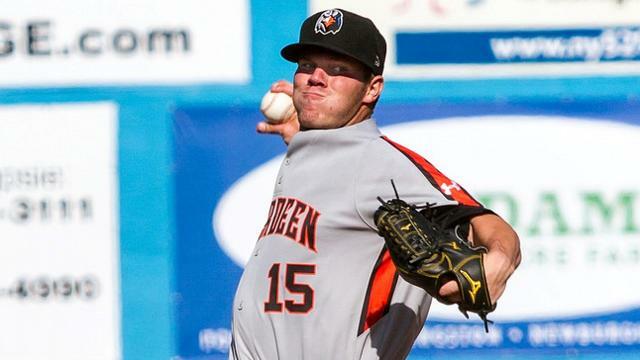 Throwing for Aberdeen was Dylan Bundy – the O’s first round pick of the 2011 draft, and a future ace I’ve heard talked about on MLB Network and by Buster Olney of ESPN. I got to interview him afterward and got a little story out of it, so I figured since this guy will most likely be facing the Yankees in the not-too-distant future, I’d throw my little story on him up here on the blog. Note: I also interviewed TB Rays’ 2014 first round pick, first baseman Casey Gillaspie, who smacked a two-run home run for his first hit as a pro ballplayer. Even though I was indeed thrilled and excited to cover Bundy, I was a little bummed out the P.A. didn’t play Frank Sinatra’s “Love and Marriage” as he took his warm-ups. An Al Bundy reference would’ve made my birthday complete. Although a year off and reconstructive surgery may normally sound like a formula for rust, it wasn’t for starting right-hander Dylan Bundy on Sunday. The Baltimore Orioles’ 2011 first round draft pick out of Owasso High School (Okla.) made a rehab start against the Hudson Valley Renegades at Dutchess Stadium, pitching for the O’s short season Single-A affiliate, the Aberdeen IronBirds. It marked the 21-year-old’s first time pitching in a competitive game since 2012, being that Tommy John surgery sidelined him for all of last year. Yet the stud, who has been compared by some to Stephen Strasburg, showed no damaging signs. 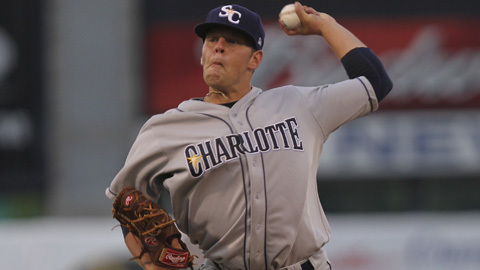 He tossed five innings and only let up one earned run after scattering five hits. Bundy walked none and struck out six by taking baby steps – he only threw 65 pitches. Bundy gave the Renegades credit for touching him up, though he didn’t feel he made too many mistakes dealing to the Hudson Valley hitters. Making adjustments, Bundy mentioned, also helped him along. Bundy also talked about how much less pressure it was pitching at “The Dutch” as opposed to a major league stadium like Camden Yards – even though he thought facing the Renegades was just as dangerous as facing a big league team. Bundy will make a few more starts before being evaluated, and a plan for his future is drawn up going forward. Spring Training is hardly about final scores, which is why the Yankees and the Tampa Bay Rays ended their game in a 3-3 stalemate today in 10 innings. As we all know, there doesn’t need to be a winner in most exhibitions, as long as everyone gets their necessary work in. The Rays showed off a great deal of their minor league arms in this afternoon’s spring tune-up, and in watching along as I put the finishing touches on my girls’ hoops articles for the week, I took notice of some recognizable names. In the eighth inning Tampa Bay skipper Joe Maddon brought in a lefty by the name of C.J. Riefenhauser – a familiar name if you’re a Westchester County, N.Y. sports buff such as myself. Riefenhauser attended Mahopac High School, and if I’m not mistaken, my editor has written a number of features on him. It’s quite possible Riefenhauser makes the big club this year, and I couldn’t be happier to see a product of a school in my newspaper’s coverage area make it to the show, though I never had the chance to interview him personally. Today Riefenhauser threw (I believe) just two pitches in the 1/3 of an inning he tossed and got Ramon Flores to pop out to short, earning a hold in the process. Making a note of Rifenhauser’s appearance on Twitter seemed to go over well with those who know him. Ten re-tweets, four favorites and counting. Before Riefenhauser did his work, as short as it was, another southpaw by the name of Adam Liberatore was on the mound – yet another familiar name. 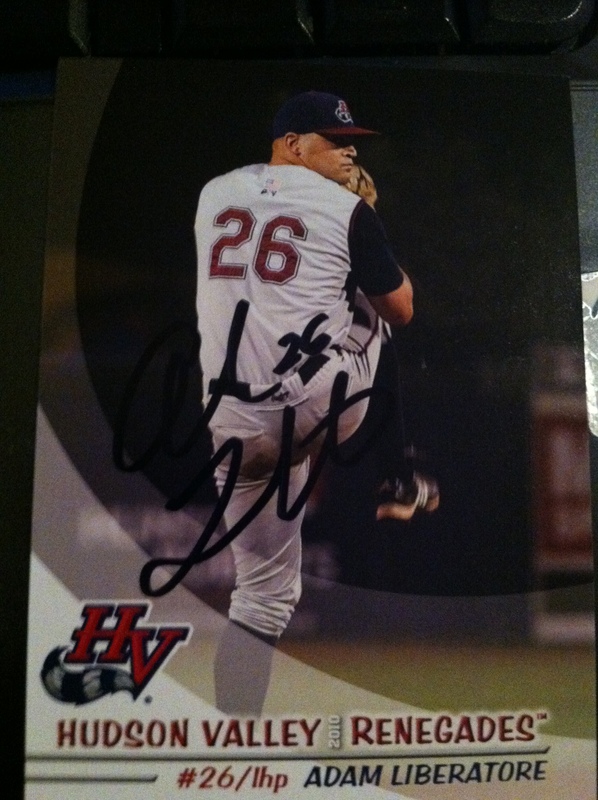 Liberatore pitched for the Hudson Valley Renegades in 2010, a (short season Single A) farm team of the Rays, and a team which longtime readers of Yankee Yapping might remember I interned for. 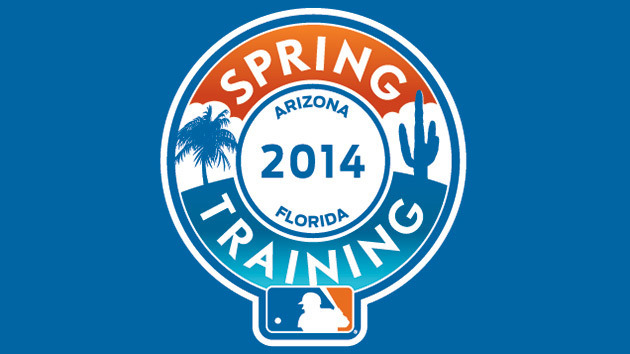 Again, it was nice to see a name I recognized get some playing time in Spring Training. Then the Rays called on their final pitcher in the 10th frame. And all the memories – the good memories – raced back to me. Maddon brought in Merrill Kelly, a 25-year-old right hander, for the last inning. 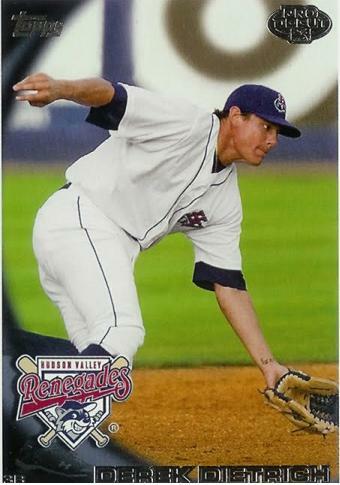 Kelly, like Liberatore, was a member of the 2010 Renegades. Kelly was called up to extended-A Bowling Green in the middle of the Renegades’ 2010 season, but a few weeks before he was promoted, this writer had a rather humorous exchange with him. It was a Sunday in July at Dutchess Stadium – which meant it was kids’ day; children were picked out of the crowd for the wacky activities on the field, in between innings. Then at the end of the game, the kids in attendance were permitted to step onto the diamond and run the bases. My cousin Thomas (16 at the time, yet short in terms of height for his age), who I went with to the Yankees’ home opener earlier that year, was at the game. I had greeted him when he got to the ballpark but soon after, he ventured off with his friends, while I (doing my duty as an intern) helped set things up for the daffy entertainment in between innings. A little while later before the game started, I was on the field near the first base dugout and saw Thomas – from the front row of the stands – talking to Kelly. I walked over to see him, only to hear an apparent argument going on between my cousin and the reliever. “Yes I am!” Thomas kept saying. “Dude, no you’re not,” Kelly retorted. “Yes, I AM!” Thomas persisted. “NO, you’re NOT,” Kelly answered. Confused, I asked what was going on. “A.J., tell this guy I’m 16! He doesn’t believe me!” Thomas defiantly said. Being Thomas’s cousin, knowing he was telling the truth, I was able to vouch for him. “He is 16, Merrill – I’m his cousin,” I calmly told Kelly. The cleat/shoe was certainly on the other foot, as Kelly examined me, looked back at Thomas and said to him, “Dude. 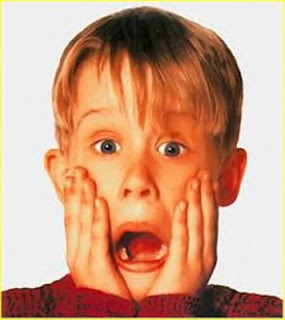 You’re going to get carded for the rest of your life!” before walking into the dugout. It was one of the funnier moments of the day, probably second to Thomas participating in the fun in between innings, playing the “dizzy bats” game as part of kids’ day. I’ve mentioned it before, and I’ll say it again now – I’d really be interested in writing a book about that summer, interning for the Renegades; include all the fun shenanigans and hoopla that ensued that summer. At the moment I’m not exactly sure how to go about pursuing such a project. Hopefully I can find out and go after it, because I think a lot of folks who enjoy the child-like aspect of baseball would appreciate it. Excruciating. A word this writer has become familiar with over the last 24 hours or so. The Yankees needed a win today in order to keep themselves in good position in the hunt for a Wild Card spot, and for the first six innings things were looking good; the Yanks up 3-0, a weekend sweep of Baltimore seemingly imminent. Then cue the Yankee bullpen. Shawn Kelley entered the game, relieving Andy Pettitte, who pitched superbly. Kelley however was anything but superb, letting up a home run to JJ Hardy, giving the Orioles a 4-3 lead after Baltimore scored one to cut the lead to 3-1. Kelley turned it over to Boone Logan, who then passed the baton to (gulp) Joba Chamberlain. Things only got worse when Chamberlain came on in relief. Adam Jones rocketed a home run over the centerfield fence, the Orioles taking a 7-3 lead the Yanks could not catch up to. 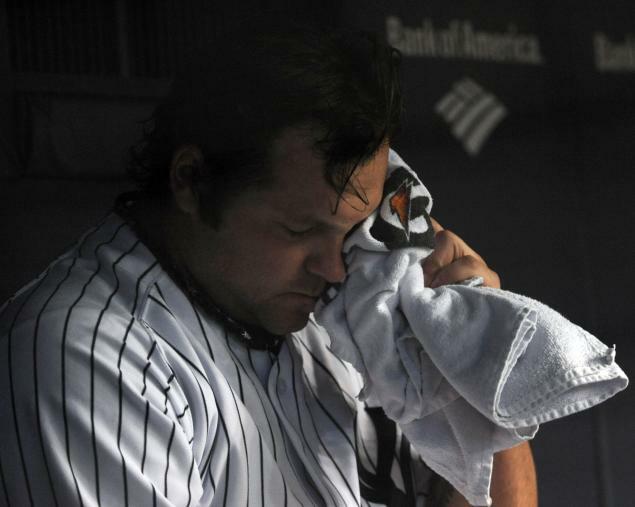 While today was surely a collapse by the Yankees – and quite possibly the unofficial end of the so-called “Joba Chamberlain Era” in New York, it might pale in comparison to the unmitigated disaster that took place last night in the minor leagues. I spent most of my summer “down on the farm” covering the Hudson Valley Renegades, much like I did last summer. The Renegades were dominant in 2012, and even went on to win the New York-Penn League championship for only the second time in team history. Although Hudson Valley boasted an incredibly talented group of future Tampa Bay Rays in 2013, this season they haven’t been as fortunate as they were last season. And after I tell you the story of last night’s game, you’ll understand why. 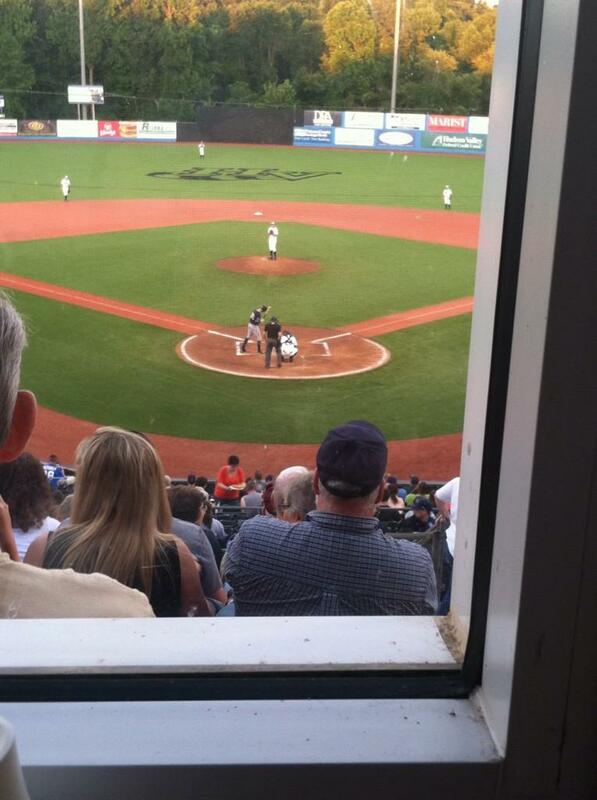 The Renegades hosted the Staten Island Yankees last night, the Yankees’ Single-A affiliate. Tied 2-2 in the top of the 12th, Staten Island loaded the bases with no one out. Up to the plate stepped the left fielder, Daniel Lopez. This 21-year-old baby bomber cracked a liner up the middle that should have scored two runs and gone down as a single. It turned into a nightmare for the Renegades, as their center fielder James Harris made an offline throw to the plate. The error allowed three runs to score and Lopez to go the third. And it wasn’t over. 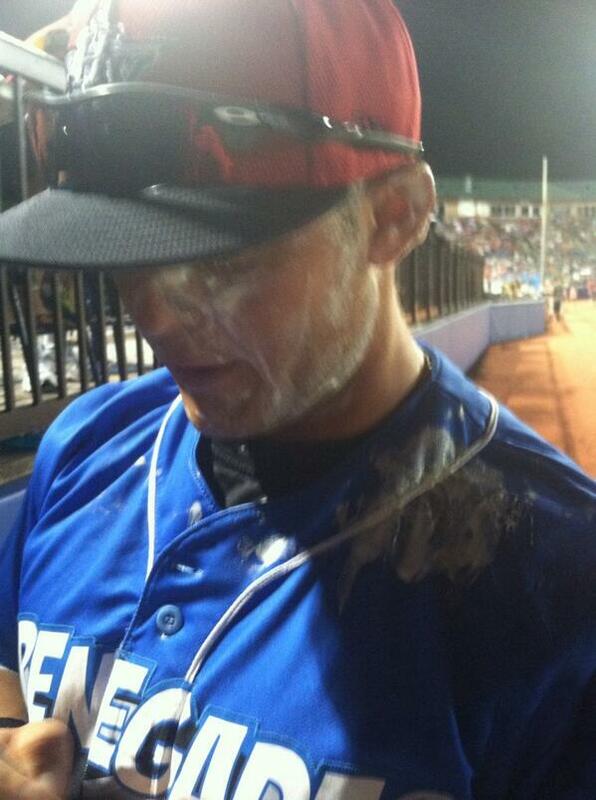 Renegades’ catcher Ryan McChesney tried to catch Lopez at third base, throwing wildly down to the hot corner. The throw was errant and allowed Lopez to come home and make it a four-run play. The miserable 12th inning took all the air out of the Renegades. Believe it or not, I couldn’t help but think of Seinfeld after witnessing the mess. 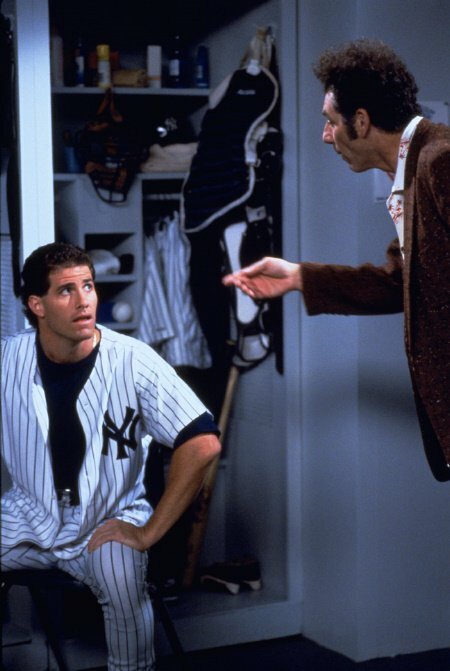 If you recall, there was an episode that involved the character Kramer asking Paul O’Neill to hit two home runs for a sick boy in the hospital. Kramer and Bobby, the bedridden-yet-hasty little boy, watch on the hospital TV as “The Warrior” crushes a home run. In his last at-bat of the game, O’Neill lines a ball into the outfield and digs for third base – all of this according to what we, the viewers, hear from the play-by-play man calling the game. A throwing error allows O’Neill to come in and score. “Oh Yeah! Inside-the-park home run!” Kramer exclaims. “They are ruling the hit a triple and an error on the throw,” says the play-by-play man. And although Lopez’s hit was not ruled an inside-the-park grand slam by the minor league official scorer, it was indeed just as good. 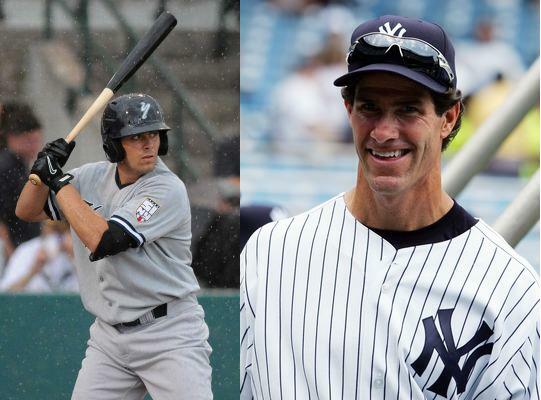 O’Neill’s nephew, Mike O’Neill, is on the Staten Island Yankees. He was not involved in the scoring in the four-run 12th inning, but he did play in the game; Mike batted second and played centerfield. The Seinfeld scenario and the Lopez hit in the 12th – talk about eerily similar. And the O’Neill name was the link to it all. 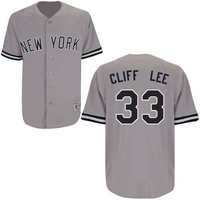 As for the big Yankees, they’ll need to play awfully well in the month of September in order to gain a Wild Card spot. Fortunately they’ll be welcoming the all but extinct Chicago White Sox tomorrow for a three-game set, looking to avenge the sweep the White Sox handed them in the windy city at the beginning of August. 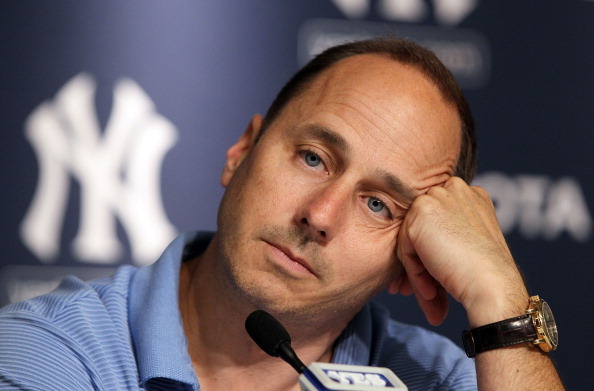 Most readers may have taken notice that the Yankee Yapping blogging this summer has been a little slow. I have been working a lot and have been very busy; obviously covering the Renegades (basically working as their beat writer for my newspaper) has taken a lot of time, as well as the other work I do for my newspaper/company. There are only so many hours in a day, though. Looking back, I think I only published two blogs this summer: one in July, one in August. I promise to get back to it this month a little bit more. 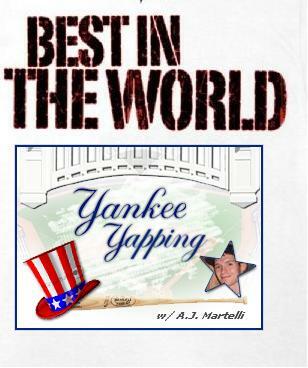 Whether or not the Yankees make the playoffs, I’ll be customarily handing out the annual Yankee Yapping Awards, as well as counting down the best moments this season in the “Top 13 of 2013.” (I wrote the “Top 12 of 2012” last year and enjoyed it, therefore I will certainly pen one for this year). In addition to that, I’d like to do a career retrospective on Mariano Rivera at some point. I’ve done similar blogs about Jorge Posada and others. With time, I will write one for Mo and it will be up before the end of the year. Obviously spanning Rivera’s entire career and picking out his best moments will take time! 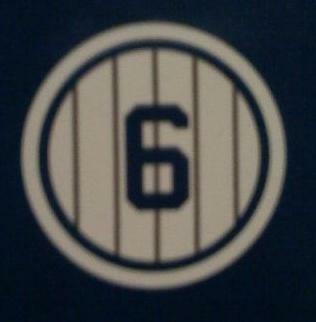 Thank you all for reading and look out for more posts and more Yankee Yapping! On Tuesday night the Yankees were shut down and shutout 2-0 by the Colorado Rockies in Denver, in what was another dead effort in run scoring. Going into last night’s game the Yanks were 17th in the majors with 133 runs scored for the year, their wins being mostly one or two-run games. 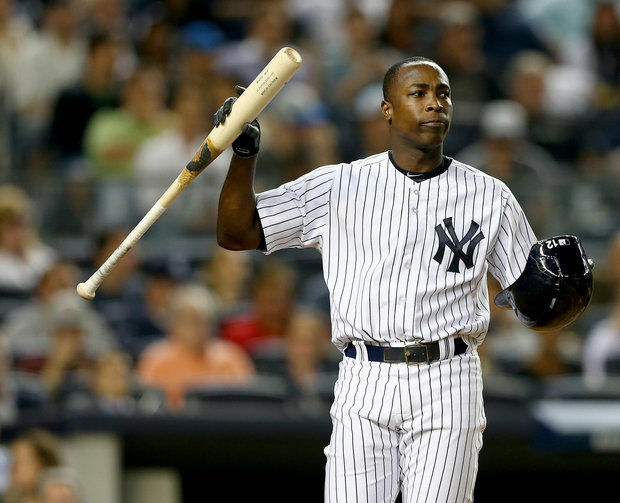 Case in point: last night’s ugly 3-2 victory over the Rockies to even the series up 1-1, scoring and stranding baserunners being two issues for the Bronx Bombers. In the last three games alone the Yankees have left 36 men on base (18 in Sunday’s 5-4 loss to Oakland, 11 Tuesday night, eight last night), clearly struggling to generate runs and bring runners to the plate. Maybe a crash course in “Run Scoring 101” is in order. That, or just actually hitting with runners in scoring position. Either way this Yankee team, which sometimes looks more like a team you’d see in the final inning of a Spring Training game, will look to take the series from Colorado this afternoon; CC Sabathia (4-3, 3.31 ERA) trying to get back on track after a slew of starts that have been unlike the typical, dominant outings we normally see from him. Throughout it all the Yanks (19-13) are still hanging in, numerically in second place in the AL East (behind Boston and Baltimore, who are tied for first) and just one game out of first place in the division – a stark contrast from the Miami Marlins, who are 10-25, in dead last in the NL East. Over the winter the Marlins made a trade with the Tampa Bay Rays: Yunel Escobar for a name I recognized – infielder Derek Dietrich. The fledgling Marlins called Dietrich up yesterday morning, and later that day he made his MLB debut in Miami’s game in San Diego vs. the Padres. Dietrich started at second base, although all the times I saw him play, he was a shortstop and spent some time at third. 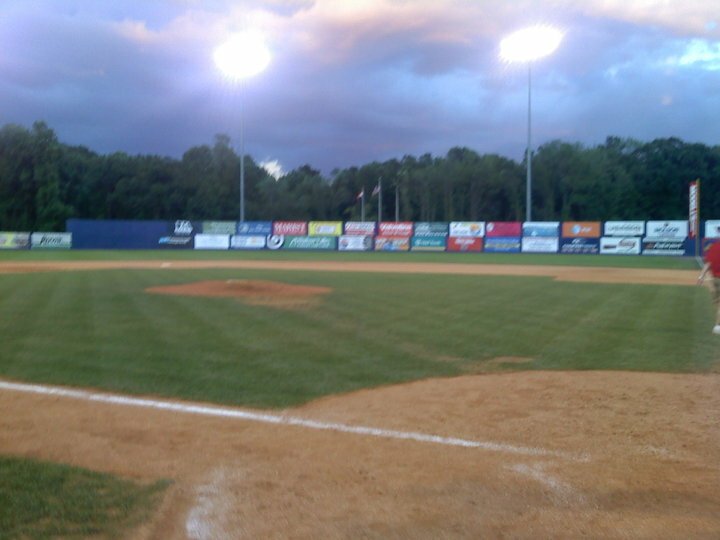 Over the summer of 2010 (as most regular readers know) I interned for the Hudson Valley Renegades, the short-season Single-A affiliate of the Rays. Dietrich was on the team that season, climbing his way up the minor league rungs, and now he’s made it. 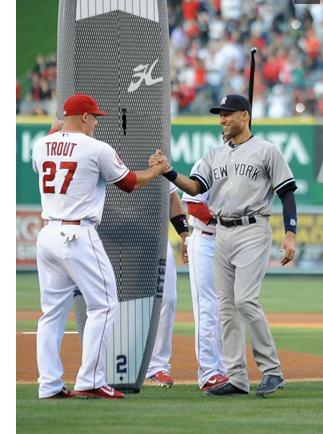 Always one to be pithy, I have a great story about the Marlins’ new second baseman. As an intern, one of our many jobs was to help entertain the fans in between innings – and if you’ve ever been to a minor league baseball game, you know it’s commonplace for wacky, tacky games to be played to keep the crowd interested while the players warm up. We usually kept everything theme-oriented. For example one night our theme was “Groundhog Day” and in honor of the classic and quotable Billy Murray movie, we played the same exact game every inning, in accordance with the déjà vu Murray’s character Phil Connors experiences in the film. At the end of the night we had a groundhog mascot come out and dance on the field – suffice it to say, it was fun for everyone involved. And that’s just one example. There were plenty of more nights similar to the Groundhog Day game. One particular game was deemed “Rain Delay Night.” The cheesy, wacky tacky games in between innings involved us squirting each other with super soakers, and pretending the games in between innings were “rained out.” A blue pool tarp was even laid down in foul territory where we usually held these games. Yeah, that’s how far we took it. Give us credit for committing to the bit, though. At any rate, as we were stationed in the first base pit next to the Renegades’ dugout, Dietrich apparently thought our shenanigans were quite amusing, because he joined in on the action. I vividly remember him sitting near the edge of the dugout; on the top step plotting his course. He went over to the water cooler in the dugout and poured himself a cup. But instead of drinking it, he ran by and splashed the water on us, leaving us standing there like some puzzled, wet ducks on a rainy day. Dietrich 1, interns 0. But we got our revenge. “If he comes back down this way, he’s a dead man,” he playfully responded, cocking back his super soaker. Eventually the Renegades won the game and Dietrich came back from the bullpen – and right to the first base pit. Not even stopping to take congratulations on the field with the team, he came right up to us and turned his back, as all of us pulled our triggers and fired at will. On second thought, in reality, we “watered” at will; completely drenched him. 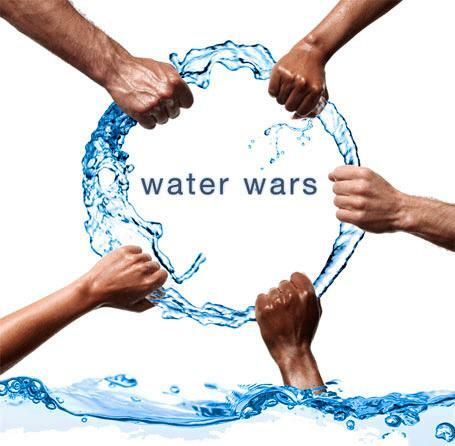 When I say we got him good, we got him good – good enough for two points in the water war, I’d say. The image of the damp “3” and “2” on the back of his (#32) jersey will forever be burnt into my brain. The laughter that ensued by us and Dietrich is also burnt into my brain – truly a fun and lighthearted moment between a player and the ballclub interns. In his MLB debut today Dietrich went 1-for-3, collecting his first big league hit on a line drive single to right field to lead off the top of the third inning. Bear in mind, this is just one story involving one player. There were countless other exchanges and moments during my internship with the Renegades that were just as funny and memorable. In my mind I’ve kicked around the idea of writing a book about that summer and telling a lot of the stories similar to the water war with Dietrich. I think it’d be a fun read. Wouldn’t you…? In the meantime, I’m wishing the absolute best of luck to Dietrich in his MLB career. Just know, I was part of a team that once beat him in a water fight…we totally won.